Our new build project Teign View in Newton Abbot has been featured in the Mid Devon Advisor Teignmouth Post. Click here to view the article online and read about the planning application process and comments from Teignbridge Council’s planning committee. We’re pleased to have been granted planning permission for this on-off House which has been carefully designed to suit the unique site. The site naturally divided itself into two levels. The higher level offering amazing views over the surrounding area, including Dartmoor and the Teign Valley. 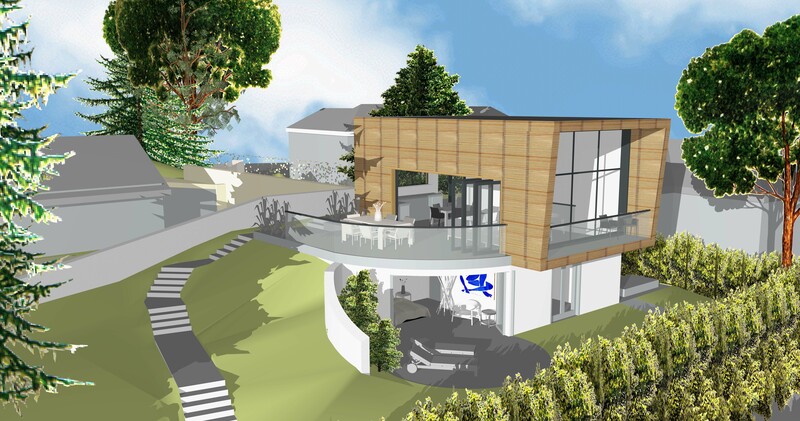 Visit our Teign View portfolio page to read more about the project’s design proposal.